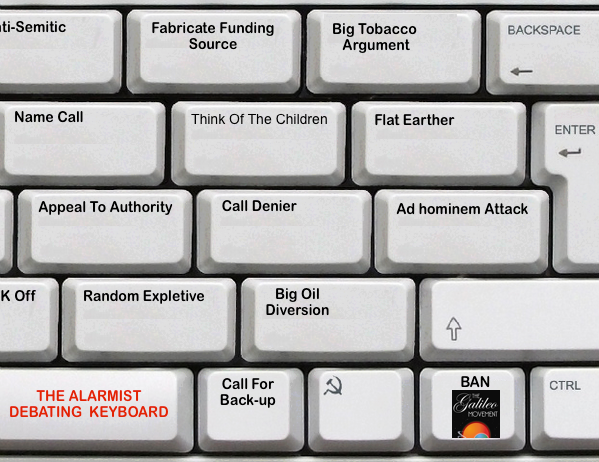 Cheers to The Galileo Movement for the excellent new alarmist keyboard! 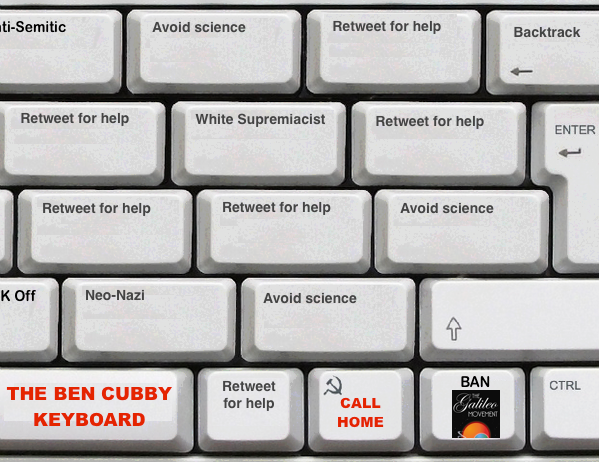 Monday Mirthiness – Mann’s keyboard? | Watts Up With That? I think your mean the “shifty” key? The fuels fossil is originate from plants and animals. (Organic chemistry teaching since high school), analyze it, the sole source of carbon from plants and animals is the atmosphere, plants not get carbon using a roots, the animals do nor eat carbon, eat carbohydrates or sugar. If them animals only eat animals or vegetable and them vegetable only abstain coal through their leaves From the atmosphere, then the carbon of them hydrocarbons fossil only source is of the atmosphere. In conclusion the only thing we do to burning fossil fuels is to return into the atmosphere the carbon that was originally in the same atmosphere and plants need to survive. By this burn fuels fossil is indispensable for the vegetal life. Incredible is that on the pretext of a theoretical relationship between climate and CO2. It is overlooked an echo as simple as the need of the plant world and consequently the animal world that CO2 back into the atmosphere. He even suggested that the big dinosaur extinction was due to depletion of CO2 from the atmosphere and hence the lack of vegetable food, reflected in the huge imbalance that is the accumulation of carbon in the huge reserves of fossil fuels, to the detriment of the impoverishment of the CO2 in the atmosphere. It is clear that carbon “fossil fuels” hydrocarbons has its unique origin, the atmosphere, this little detail, “ignored” by all stakeholders “$” in environmental issues was sold to the public as so many other fallacies such as the UFO or the Y2K in campaigns in which could not miss the liars by profession “politicians” Al Gore “and is spread like a disease” , both that even our beloved (PAPA FRANCISCO) to been infected. The public does not fall into account the crutch that is sold in principle this big lie was #globalwarming, analyze it, that was for 15 years, since 1995 more or less, “mysteriously” inventors and handlers of this big lie, have changed the mantra by #climatechange, they did that natural and evident #globalwarming stopped and was very evident between 2010 to 2014 years really cold. By that is necessary this lie?